I've been doing weekly episode reviews. At first, I was afraid to do episode reviews because other bloggers were "covering it up" until I realized that I can do it my own style. 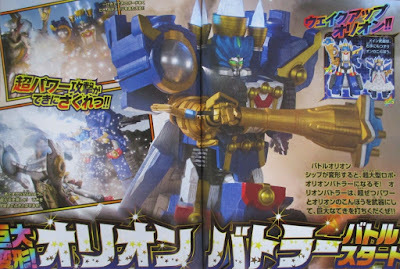 There's one thing that I don't want to do and that is provide magazine scans for upcoming Super Sentai gimmicks. IMO, doing episode reviews would be my way of doing updates. 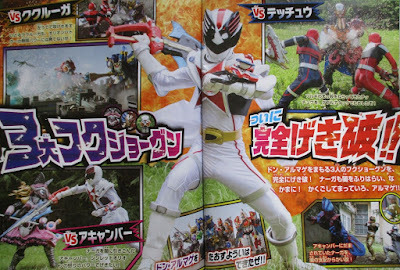 This is the latest Kyuranger magazine scan from JEFusion. While I could go ahead and give my first impressions but I don't think it's enough. I could go ahead and say that "Oh that looks cool!" or "I bet it'd be great." but I don't think it's enough. 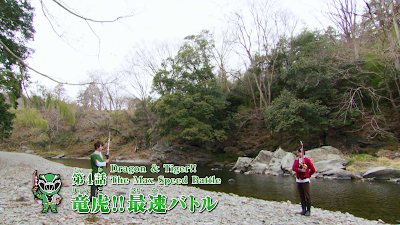 IMO, I really want to see all these clips in actions in any upcoming episode of Kyuranger. I could have done some writing based on a magazine scan about Orion Battler and what I think. For me, it doesn't really do much justice until I see all the power-ups or latest mecha in action. Toy catalogs are toy catalogs. 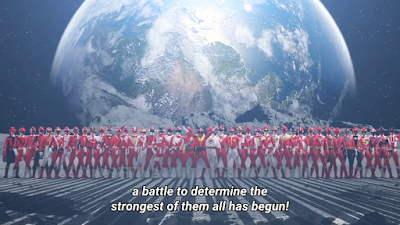 I'm not here to give news on Kyuranger but rather my reaction to the latest episodes and how the new gimmicks will work out. From what I think the blogs like UkiyaSeed, JEFusion and Nihon Hero just to name a few provide those catalogs. 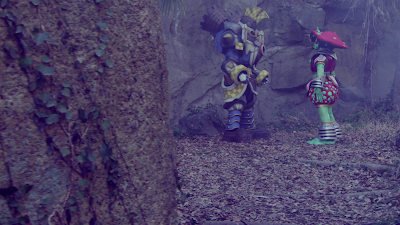 I may choose to write about this year's Super Sentai but I want to focus more on the episodes. Doing episode reviews has been more exciting than just taking clips and assuming how they work. Instead, I'd rather see all the gimmicks in action before I even write about them. It's always better to see something in action before talking about it.